This sermon, “Happiness and Living in the Present,” was originally delivered to the congregation of Harmony, a Unitarian Universalist Community, on March 19, 2017. It is published here with permission from the writer, with all rights reserved. This is probably the most well known sentence of the Declaration of Independence. I want to focus on the last part of that sentence, “the pursuit of happiness,” because almost everyone wants to be happy, but lasting happiness proves to be elusive for most. Many books have been written about how to be happy, but I truly believe that there is only one way to really achieve lasting happiness, and that is by living in the present moment. 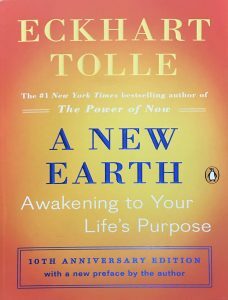 RECOMMENDED READING A New Earth by Eckhart Tolle The terms “living in the now” and “the present moment” have become mainstream thanks to Eckhart Tolle’s book The Power of Now which he wrote back in the mid 90s. Tolle later wrote A New Earth and it is my experience with this book that inspired me to write this sermon. Now I know that many atheists dismiss Tolle’s teachings as New Age mumbo jumbo, and being that we have a number of members of Harmony that are non-religious, it is my hope that by the end of this sermon that I will have persuaded some of you to give some consideration to his message. The reason for my belief that happiness can only be found in the present moment goes back four years ago when I checked out Eckhart Tolle’s audiobook version of A New Earth. At the time, I had heard of Tolle but didn’t know much about his teachings. The concept sounded interesting so I decided to get it. The main premise of A New Earth is that in order to enjoy lasting happiness, you need to focus your attention on the present and stop getting drawn into every random thought that pops in your head. I’m simplifying things a bit, but that’s a rough overview of the message of the book. I started listening to the audiobook on my way downtown to work one morning and as I got out of my car and started walking to my office, I noticed that my sense of smell and hearing seemed to be enhanced. Everything around me was noticeably louder than usual and I was picking up smells that I hadn’t noticed before, which isn’t necessarily a good thing when you’re downtown. About 30 minutes later, as I was working, I made another, more profound observation: My mind was completely silent. I stopped what I was doing for a minute or two and looked around my office for a while, and still, there were no thoughts in my head, there was only a serene calmness like I had never felt before that stayed with me, undisturbed, for the rest of the day no matter what happened. Usual things that would annoy me, like customers or a co-worker not responding to my emails, didn’t bother me at all. Even my drive home in traffic, which was always guaranteed to irritate me, didn’t ruin my sense of calm. I can’t say that I was overly happy or ecstatic. But, I can say that I was overcome with a sense of joy I had never experienced before. Without all the mindless chatter going on in my head, I was able to have a laser-like focus on what I was doing at all times which allowed me to hear, see and smell familiar objects in an entirely different way. At the time, I had no idea what was going on because I had just started the book, but after listening to more of it, I realized that what I experienced was a spiritual awakening of some sort that caused my uncontrolled thoughts to cease. Unfortunately, this amazing state of being was short-lived and by the next day I was back to my usual self. But that experience made me realize what true happiness felt like. Before I go into detail on how to live in the present moment, I want to first explain why so many people fail to achieve lasting happiness. The biggest mistake that many people make is to look to the future or external objects for fulfillment. 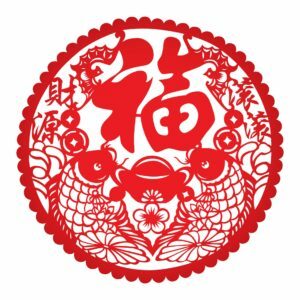 We believe that once a goal is accomplished, an object is possessed or a particular relationship is formed, that our lives will be filled with joy. However, we soon realize that this isn’t the case because once we get something that we assumed would make us happy, the pleasure we obtained from getting what we acquired, quickly fades and we soon want something else. This is because our minds are never satisfied with what it has for very long. So, how exactly do we obtain happiness in a world where every desire that we fulfill is accompanied by short-lived joy? The first thing you must learn is that happiness is a state of being and not something that you can get from anything outside of yourself. The level of joy I experienced four years ago wasn’t achieved because I had acquired anything. It was due to the end of the constant stream of thoughts in my mind, which allowed me to focus on the present moment. And that is the secret. In order to be happy, you must learn to live in the present and not in your mind. Of course, having control over the constant barrage of thoughts that are trying to capture your attention every waking moment of your life is easier said than done. If you’ve ever tried to meditate, you’ve probably figured out that there is no on/off switch for your mind. No matter how hard you try to keep your mind silent for any length of time, random thoughts will continuously appear in your head. “It is extremely difficult to stay alert and attentive, instead of getting hypnotized by the constant monologue inside your own head. Twenty years after my own graduation, I have come gradually to understand that the liberal arts cliché about teaching you how to think is actually shorthand for a much deeper, more serious idea: learning how to think really means learning how to exercise some control over how and what you think. It means being conscious and aware enough to choose what you pay attention to and to choose how you construct meaning from experience, because if you cannot exercise this kind of choice in adult life, you will be totally hosed. Think of the old cliché about ‘the mind being a wonderful servant but a terrible master. The quote “The mind is a wonderful servant but a terrible master” does indeed express a great and terrible truth. Our minds are our greatest gift. With them mankind has been able to conceive and create the great societies, structures and works of art that exist today. On the other hand, our minds are our greatest source of misery. Fear, anxiety, stress, grief, anger…all of these negative emotions originate as thoughts in our minds. And it is our inability to become the master of these thoughts that creates much of the suffering that exists in the world today. As I stated earlier, I’m sure there are some of you are going, “Yeah, yeah, whatever, I’m not buying this spiritual nonsense.” So, what I’m going to do now is show a clip from a speech that well known atheist/neurologist/philosopher/author, Sam Harris, gave at an atheist convention a few years ago about how to find happiness in the present moment. It is always now. Just as Thomas Jefferson stated in the Declaration of Independence that the equality of all men is a truth that is self-evident, I believe the concept of “it is always now” is a self-evident truth. Reality only exists right now, in the present moment. All else is a thought in your mind. This includes the past and the future. This may seem like a strange concept for some because we’re taught to believe that the past and the future are real. There are things that obviously happened in the past and there are things that will happen in the future. But as a matter of consciousness, they only exist in our minds. The moment that you try to remember something from the past or think about what may happen in the future, you are leaving reality and entering your mind. Of course, there are many times when it’s absolutely necessary to think about the past and the future and it’s typically ok to do so when we’re consciously aware of what we’re thinking about. The problem arises when we get lost in the random thoughts that pop in our head, which in turn, trigger negative emotions. Just think about how many times you’ve gotten yourself worked up thinking about a future event, like a job interview, and after it was over you said to yourself “That wasn’t as bad as I thought.” Or think about the last time you got angry over a conversation with someone that happened in the past. By constantly ruminating on what has happened in the past and what may happen in the future, we cause ourselves a lot of misery. Only by keeping your focus on reality…what is happening in your life right now, can you be free from a life of suffering. That’s not to say that you will be immune to any negative emotions if you live in the now, but I promise you that you will spend significantly less time being depressed, anxious or generally unhappy if you do. Another thing that Harris mentioned in the clip that I want to address is his statement that finding happiness in the present moment requires a change in attitude. What he meant by this statement is that we must change the way we interact with life. To do this, you must have the attitude that you’re going to accept what is happening in your life at all times. Accepting what is doesn’t necessarily mean that you have to like what’s currently happening. It just means that you have to decide to stop arguing with reality. Let me give you an example from a situation I had a couple of days ago. I was substitute teaching for a gym teacher and while I was getting ready for my next class, a student came up to me and said that another student had been flipping a water bottle, which broke and spilled water all over the gym floor. The culprit ran to their next class without saying a word to me about it, so I had to clean it up. Needless to say, I was upset over having to spend time cleaning up someone else’s mess instead of getting ready for my next class. All sorts of thoughts ran through my mind and none of them were pleasant. I eventually I got over it. That was until the end of the next period when I discovered another puddle of water on the floor. I never figured out exactly what had happened but all I know is that I was even madder than before. Then I thought about this sermon and thought I would practice what I planned to preach. I decided to clean up the mess without complaining to myself or anyone else about it, which was very hard. Multiple thoughts crossed my mind wanting to me to get angry at the situation, but I ignored them and focused as hard as I could on just cleaning the floor. I can say that doing this definitely helped my mood. I won’t tell you that I was happy while cleaning the floor but I can say that by focusing on what I was doing and not my thoughts, I saved myself from getting upset. This is what it means to accept what is. Aside from accepting what is, what other steps can you take to try stay in the present moment? The first thing you can do, and for me it’s the most important, is to start meditating. Meditation is one of the most frustrating things in the world because, like dieting and exercising, it can seem like a lot of pain and no gain if you don’t stick with it. But there’s a reason why virtually every spiritual guru practices meditation…It works! Naturally, one of the benefits of practicing mediation is that, in the long run, it helps you to remain calm in stressful situations and more importantly, it allows you to witness your thoughts and exert some manner of control over them. Initially it will be frustrating because many people go into thinking that you have to sit in one place for several minutes and try to be completely free of thought while doing so. However, the real goal is to recognize and dismiss your thoughts as they arise without getting caught up in them. Another thing you can do to help stay present is to stop complaining. Yes, this is also hard to do but complaining about a person or situation is a complete waste of time and energy. Most people don’t want to hear your complaints and it doesn’t help to solve any problems. So just stop complaining. Last, but definitely not least…Practice gratitude. When you’re grateful for what you have, you’ll be less likely to seek fulfillment and happiness in the future. Being grateful can also help you get through a tough situation by remembering that no matter how bad things are, they could always be worse. I hope that I have, at the very least, given some of you some food for thought on how to achieve lasting happiness by living in the now. It’s not easy, but nothing in life worth having ever is.  Tony Gross is a member of Harmony UU and is currently serving as co-president of the Harmony Board of Trustees.